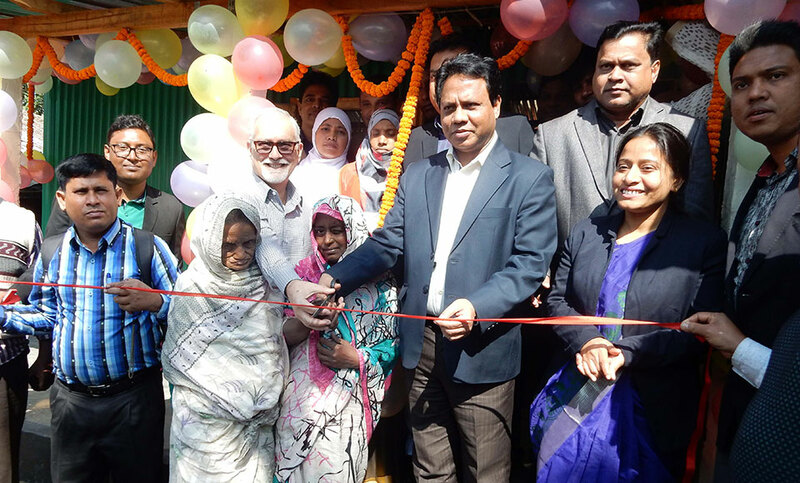 Director General of NGO Affairs Bureau and Additional Secretary to the Prime Minister’s Office of Bangladesh K. M. Abdus Salam; National Director of Habitat for Humanity International Bangladesh John A. Armstrong; Banskhali Upazila Nirbahi Officer Momena Akhtar have visited establishment of transitional shelters (House) and installation of deep tubewells which is implemented by YPSA at Sheikherkhil in Banskhali Upazila under Chattogram district. Visiting team reached Sheikherkhil on 18 January and local UP Chairman along with UP Members welcomed them with flowers. Afterwards, they officially inaugurated a T-shelter, a house of a beneficiary named Sajeda Akhter adjacent to Sheikhherkhil Union Parishad and visited other shelter construction activities. 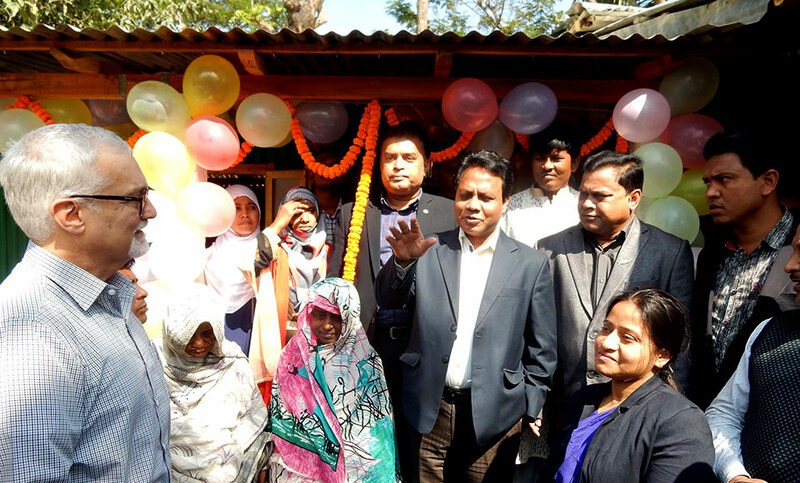 Abdus Salam, Director General of the NGO Affairs Bureau of the Government of the People’s Republic of Bangladesh said that one of the steps of the present government is to provide housing for homeless people. Along with the government, many local and international organizations are implementing this work. Md. Arifur Rahman, Chief Executive, YPSA; Palash Kumar Chowdhury, Director (Finance); Md. Manzur Murshed Chowdhury, Director (Economic Development); Md Yasin, Chairman of Sheikherkhil Union Parishad, Mohammad Ashraful Alam from Habitat for Humanity International Bangladesh; Kalyan Barua, Project Coordinator, YPSA, UP members and other YPSA officials were present during their visit. 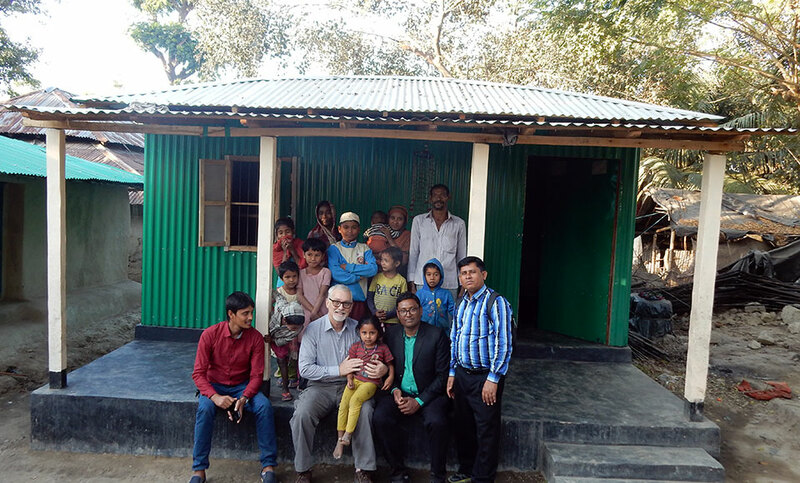 It is worth mentioning that in the Sheikhherkhil, YPSA has been working to establish 42 small shelters (housing) and installation of 8 deep tubewells with the support of Habitat for Humanity International Korea and Bangladesh.